In a couple of weeks I’m going to be building a garden box – something to hold the barbeque, hedge trimmers, hammock and the tools it takes to maintain the postage stamp of paving and greenery we laughingly call our back garden. It’s going to be outdoors and I want it to shed the rain so the lid will be arched – coopered. Either I build it or the hedge trimmers live in my workshop. 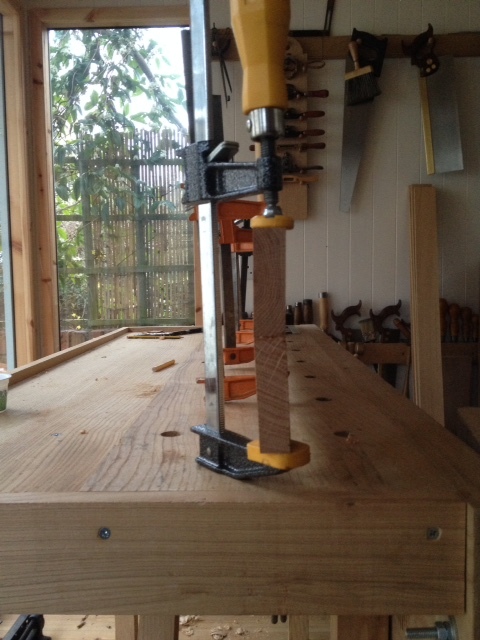 I planned to build the lid it out of several long planks with bevelled edges. Rather than just have at it I decided to try a little maths to calculate exactly how much I should plane away to get the arch I wanted: two inches of height across a width of about twenty two inches. Or for the imperially challenged 50mm over 550mm. 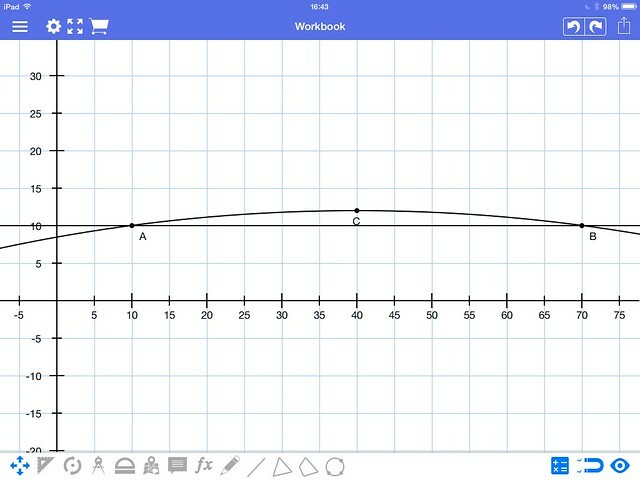 I like maths (I hope the National Association of Teachers of English doesn’t read this) but don’t remember much of my trigonometry so I spent some time with a maths app on my iPad. After a couple of hours of faffing I calculated that x=a little bit. Slightly more than a gnat’s whiskers and quite a bit less than a shed load. So I gave up on the diagrams and went out to the workshop. Bevelled for a curve or just out of square? I’ve got some oak left from the peg rail. It’s the scratty bits I’ve scarfed together: knots, reversing grain direction and a bit of bowing. There’s just about enough to put together a mock-up of the lid. 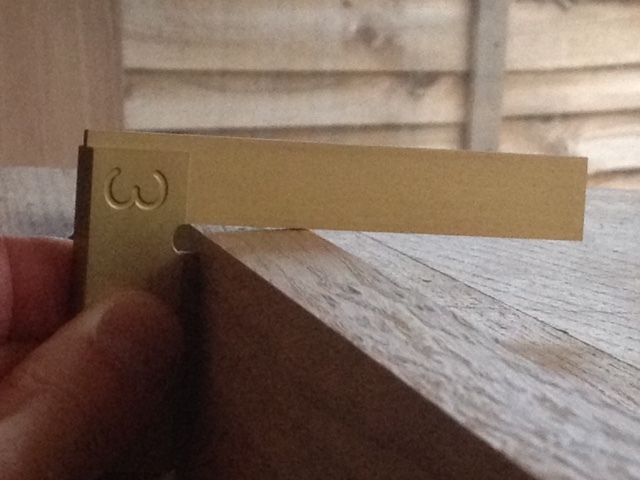 I bevelled one edge of each board, put it all in a couple of panel clamps and fiddled with it enough to get an arch. I liked the curve but didn’t fancy my chances of wrestling the whole lot I to the correct shape when it was covered with glue. Instead I’m gluing up pairs of planks. Then I’ll put them all together and see what it looks like. Design by trial and error, rather than maths.